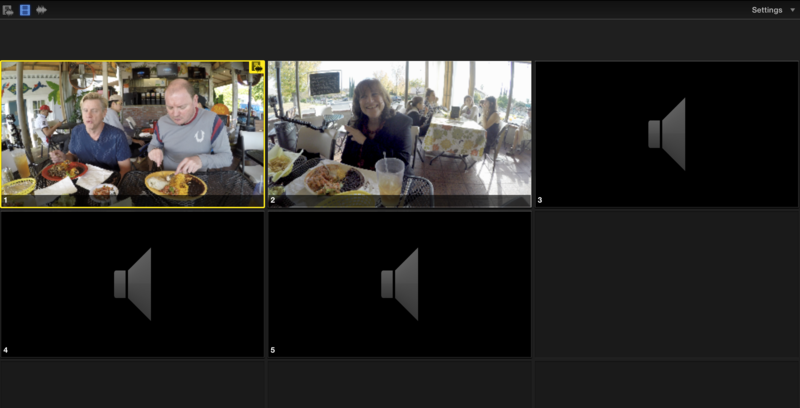 Angle 1 and 2 are from two GoPro Hero Black running in 4K mode so I can extract multiple 1080 framings during editing. Because of the audio quality of the GoPro, I never use the audio from angle 1 or 2. Angles 3-5 are individual recorders (lapel mic and Zoom H1 on each person) and there is no video with these audio recordings. Switching to the appropriate mode first, then the angle was slowing down editing. After consulting with people during IBC last year to make sure I wasn’t missing anything, the suggestion was made to use an Applescript. With help from Greg Clarke, that’s exactly what we did. Check out the tutorial is over at FCP.com. << The end of the Studio System?